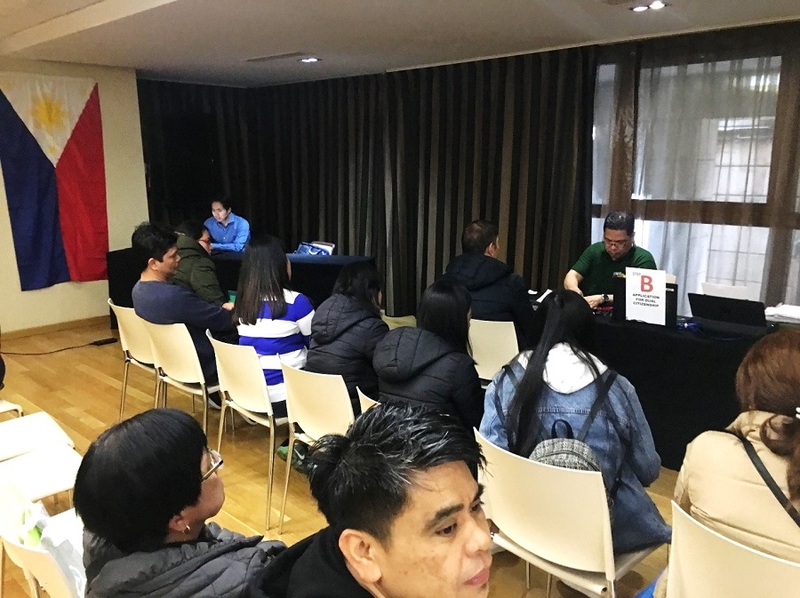 The Philippine Embassy in Madrid once again rendered consular outreach services in Barcelona on 02 February 2019 and serviced around 200 Filipinos in the Catalonia region. The consular outreach includes passport services, civil registration, application for dual citizenship, consultations, assistance to nationals and other services. A special lane was made available to senior citizens, infants, persons with disability, pregnant women and other special cases as part of the Embassy´s Gender and Development program. Barcelona is approximately 700 km from Madrid with three- hour train or seven-hour bus travel to Madrid. The Catalonia region is home to approximately 15,000 to 20,000 Filipinos.